After producing modern anime classics such as Puella Magi Madoka Magica, Psycho-Pass and Gargantia on the Verduous Planet, Gen Urobuchi has earned the right to a bit of experimentation. 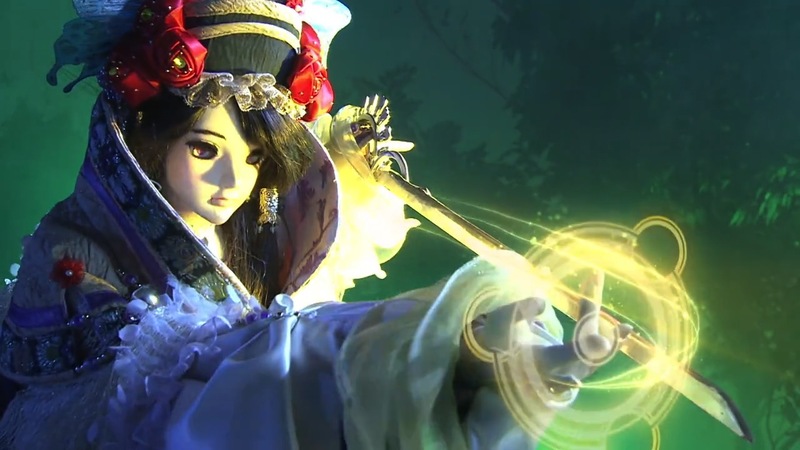 His dive into the world of tokusatsu with Kamen Rider Gaim was met with great success, and after a trip to Taiwan he has now turned his attention towards the world of Taiwanese glove puppetry. 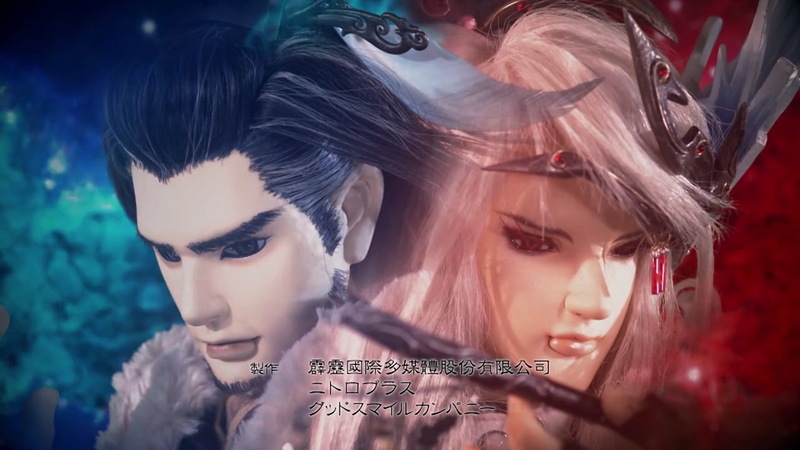 Thunderbolt Fantasy is a 13-episode collaboration between Nitroplus, Good Smile Company and renowned Taiwanese puppetry company Pili Internation Media – airing in Taiwanese Min-Nan, Chinese Mandarin and of course Japanese. Taking place in an Eastern fantasy setting, Dān Fěi and her brother are guardians of a mystical sword known as the Tiān Xíng Jiàn. The pair are pursued by the evil Xuán Guǐ Zōng clan, who seek to obtain the sword for their master, Miè Tiān Hái. When her brother is slain in battle, Dān Fěi escapes with the sword’s crossguard and encounters the wandering swordsman Shāng Bù Huàn as well as the enigmatic Lǐn Xuě Yā. Soon Shāng becomes involved in the conflict, protecting Dān Fěi from a Xuán Guǐ Zōng general. Not wanting to see the Tiān Xíng Jiàn fall into the hands of Miè Tiān Hái, Lǐn Xuě Yā sets about putting together to team to travel across the Demon Spine Mountains and take back the rest of the sword. His other recruits include archer Shòu Yún Xiāo, spear-wielder Juǎn Cán Yún, demon necromancer Xíng Hài and assassin Shā Wú Shēng. However with so many of them seeped in mystery, the group often find it difficult to trust each other. Motivations are revealed and alliances change as the group begin their journey across the mountains to face Miè Tiān Hái head on. As someone raised on a healthy diet of Thunderbirds, Captain Scarlet and Stingray I was immediately drawn to the medium Thunderbolt Fantasy utilises. The style of puppetry may be different and technology a cut above what Gerry Anderson was using back in the 1960s, but it certainly gives off that same feeling of craftsmanship. 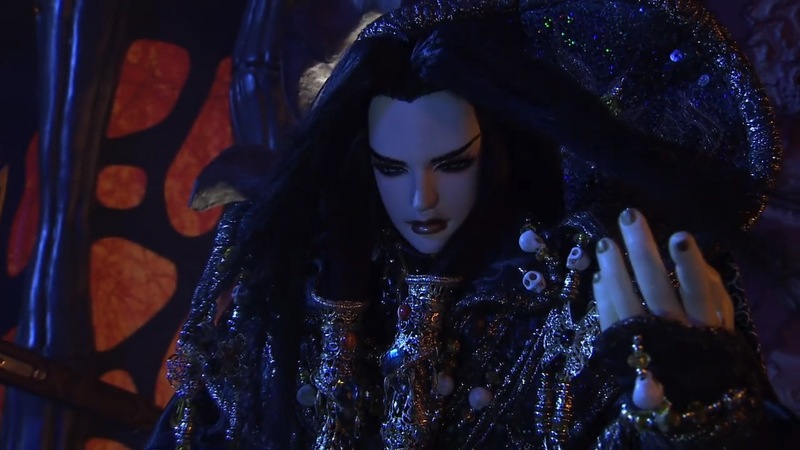 If you don’t have previous experience with puppet shows however the aesthetics of Thunderbolt Fantasy may take some getting used to – the out of synch lips and waving hand movements are all part of the charm, and one can’t deny there’s an eerie element to the puppets’ doll-like faces. But regardless of your stance one thing that can’t be denied is the level of quality that’s gone into this series, because it truly is a work of beauty. Everything is lavish and highly detailed, from the puppets themselves and their intricate clothing to scenery and scale modelling. 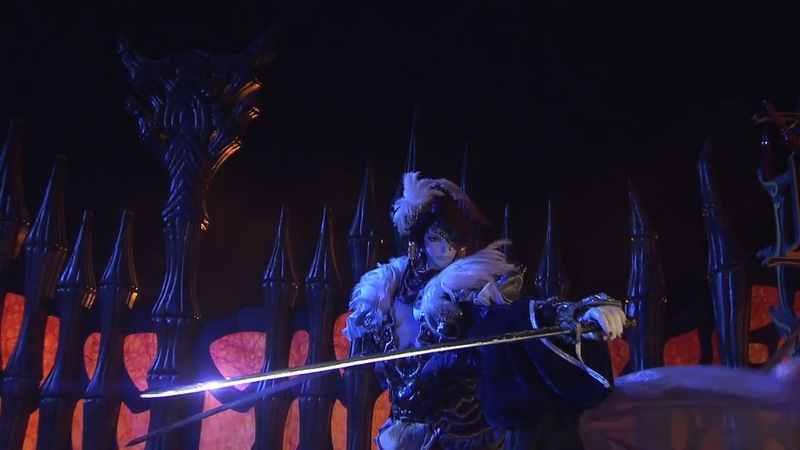 The added CGI and special effects bring an energy to the proceedings quite unlike any other, making Thunderbolt Fantasy a true spectacle from start to finish. From puppets running and front-flipping to getting decapitated with copious amounts of spurting blood, you never quite know what over the top thing the show is going to do next. Truthfully Thunderbolt Fantasy never strays too far away from a generic Eastern fantasy/Wuxia setting. The characters can almost entirely be defined by their roles in the party (which also makes it easier to keep track of who’s who if you’re having trouble with the names), and on the surface their quest to cross treacherous plains to fight a powerful evil is about as generic as it gets. 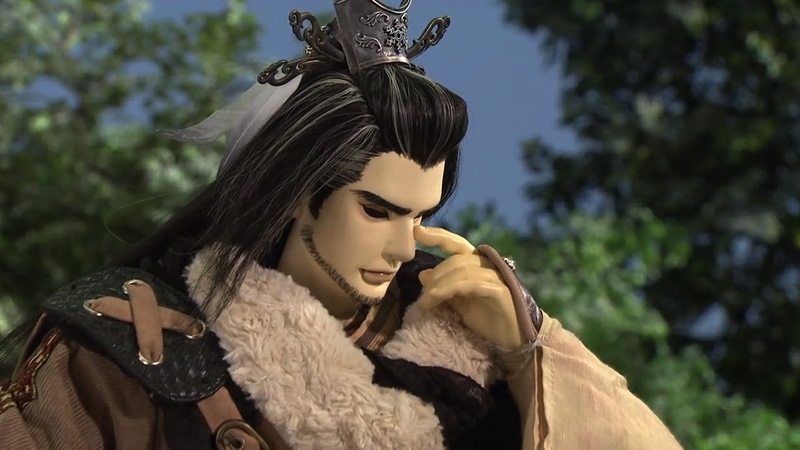 But what makes Thunderbolt Fantasy so engaging isn’t the overall premise, it’s the much smaller details that you only experience when you watch it. With only 13 episodes there isn’t a whole lot of time to play with an epic quest, so it comes as a bit of a surprise when the show only dedicates a mere one episode to it – much of which is played for laughs. The episodes that follow tackle a far more meatier subject – the characters themselves. It’s a pretty large and varied cast and while some development is certainly better than others, every character seems to get some sort of defining moment. The cast aren’t a merry bunch of men united for a just and noble cause – they’re a band including outlaws and villains. The fact of the matter is that barely any of them are doing it for the “right” reasons, and half the fun is finding out their real motivations while watching all the double-crossing/triple-crossing going on. It’s here that both Shāng Bù Huàn and Lǐn Xuě Yā shine, as their motivations and dynamic carry the later episodes forward. Even when translated into Japanese, Urobuchi is sure to keep a level of authenticity to the project. The names and terminology might often be difficult to wrap your head around, it makes the whole thing feel that much richer. It’s nice to see Gen “the Butcher” not reusing his tired old clichés once again, instead playing around with the traditions of Chinese entertainment in clever little ways. Take each characters’ “Niàn Bái” for example – a soliloquy used in Chinese opera that outlines their characteristics and motivations. Usually these happen as soon as a character is introduced, but here they’re reserved until the character takes part in a big action scene. However look closer and for some characters and there’s more to it yet again, as the poems arrive the same time as their respective characters’ true colours. The Niàn Bái are also left in Chinese in the Japanese versions, giving the audience a further level of appreciation for the show’s traditions and artistic style. 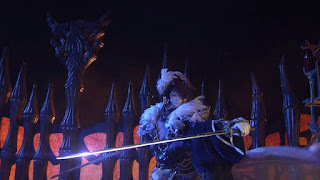 At face value Thunderbolt Fantasy may seem like a relatively simple series, but that’s true that it’s a shining example of how simple can really work. 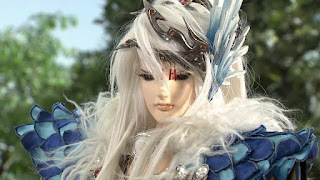 Combining diverse characters with a rich setting and mesmerising practical effects, Thunderbolt Fantasy is truly among the most thrilling things to come out of Japan (well, Taiwan actually but still) this year. Utilising a medium that will be foreign to most ensures the show has that unique selling point, but the craft that Pili put into their productions means it also has the quality to back it up. Thrilling from start to finish, it is simply a must-see for anyone interested in the art of practical effects or any looking for something visually different from the norm. And with a sequel confirmed to already be in the works, it’s clear that I’m not the only one that felt like this.